Long-term care industries will come together at the 2019 Intercompany Long Term Care Insurance Conference ILTCI conference March 24-27, Amramp will also be exhibited. This year the conference will be hosted in Chicago, Illinois. 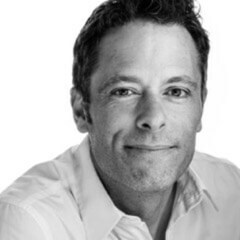 An accomplished storyteller, instructor and story consultant, with 20 years at Pixar Animation Studios, keynote speaker Matthew Luhn will share how you can shape your stories from ideas from start to finish. Luhn also shapes stories outside of Hollywood, too, working with Fortune 500 companies, such as Adidas, to craft and tell stories that connect business to hearts, ultimately building a stronger brand. During the conference, a master class will be held. This master class will build knowledge on long term care planning and assessing the needs and risks associated with long-term care. Relying on Family Caregivers. Are They Ready, Willing and Able? 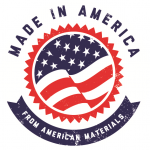 Amramp will be showcasing their products that fill accessibility needs at home and work, such as their ADA compliant ramps and power lifts that help get individuals back to work sooner after an injury. Don’t miss the opportunity to listen to an inspirational keynote speaker and take part in breakout sessions to learn about getting people back to work sooner after an injury.